I mean I'm sneezing like crazy like it's Spring. It's not 11* every night anymore (thank goodness) and all the pinks and reds of Valentine's Day is definitely coming together. I'm pretty excited for this time of year! I love Spring and despite my past depressing Valentine's Day's and Easter's they're still some of my favorite holidays. It's hard to be upset when the weather can be damn near perfect and there's so many happy and pretty colors everywhere! I don't have that many goals to complete this month as I already feel overwhelmed as it is with all the goals I'm trying to complete on a week to week basis; I think I'm going to cut some down and try to pace myself instead of trying to "make up for lost time" because then I just get stressed and I push things off even further which in turn ends up just depressing me. 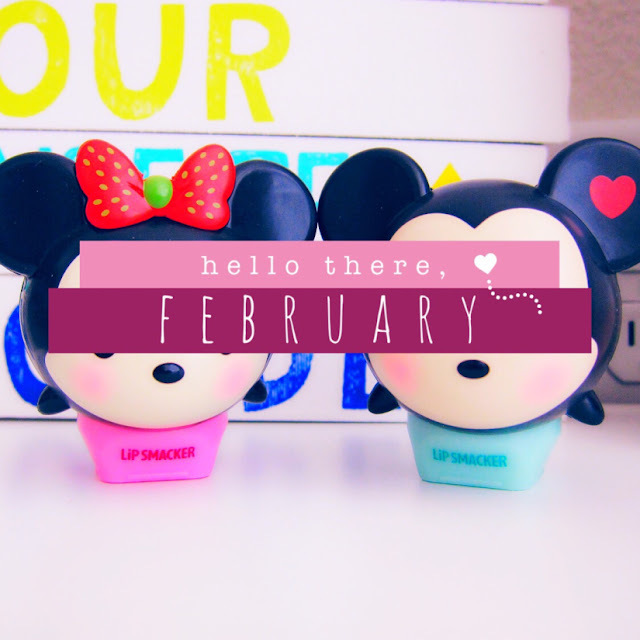 February isn't a very long month either so, whomp! Hopefully my shorter list will inspire me to attempt to get more things done this month, we'll see! What are some things you're looking forward to this month?